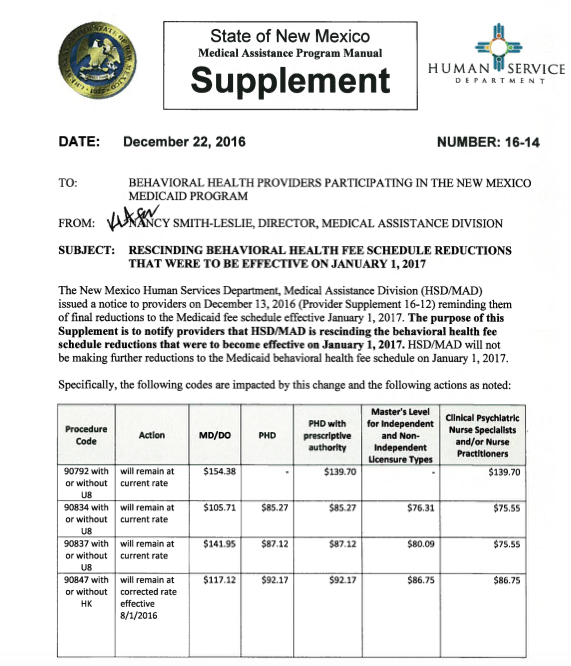 Behavioral Health Final Fee Schedule Changes Effective January 1, 2017 has been rescinded as of 12/22/16. What does this mean? The original decrease for CPT codes announced on 12/13/16 will not take place and fees will remain the same.